From Rollins’ unique Test Score Waived Option and Accelerated Management Program to spring admission, learn more about your admission opportunities. The 3/2 Accelerated Management Program (AMP) at Rollins combines a four-year Bachelor of Arts (BA) and a two-year Master of Business Administration (MBA) into a five-year program. Designed to offer one of the most comprehensive international business educations available, this outstanding opportunity allows you to graduate with two bachelor’s degrees in four years with an understanding of the global marketplace, fluency in English and German, and practical business skills acquired during our semester long, full-time, international internship in Germany. Designed for exceptional students looking for a heightened educational journey, the Honors Program combines distinct interdisciplinary courses and team-taught honors seminars with significant independent research opportunities and the chance to meet with distinguished visiting speakers and lecturers. 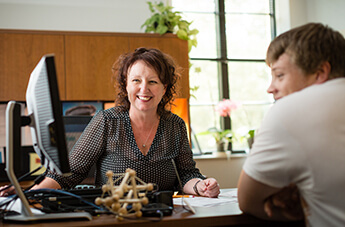 The Honors Degree Program leads to a distinct and separate undergraduate degree—Artium Baccalaureus Honoris, the Honors Bachelor of Arts Degree.